Meet Lucy. She’s pictured here with her two adorable children: Adam at 29 weeks and Chloe at 35 months. Lucy attended Mummies and Buggies with her first child, Chloe when she was 7 weeks old and really enjoyed her experience. When Lucy she found out she was pregnant with baby number 2, Adam, she enquired at 10 weeks pregnant, to ensure she didn’t miss out on a space on Bump to Babe Pregnancy Fitness Classes. Lucy attended CoreBaby Pilates when Adam was 7 weeks old, then at 15 weeks, booked herself on round two of her Mummies and Buggies experience. It’s absolutely brilliant: a bit of time to focus on you, and help your body feel your own again. The babies enjoy it too: they like the motion and the music, and watching you wave your arms and jump about. They often fall asleep, but if not, it’s no problem – everyone’s in exactly the same boat. And if I’m allowed a 3rd thought: It was one of the first things I planned in for my maternity leave after Adam (my 2nd) was born. I knew how much I had enjoyed it and got out of it the first time around. So glad I found these classes! Say hello to Lucie and baby number two: George. This picture was taken when George was just 12 weeks. Isn’t he cute?! 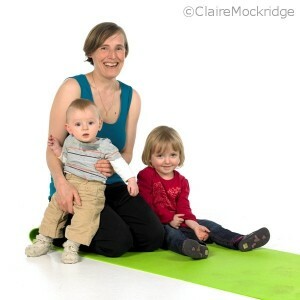 Lucie joined Bump to Babe Pregnancy Pilates classes at 27 weeks pregnant. When her bundle of joy, Henry, arrived, she quickly booked herself onto Mummies and Buggies with him at 3 months post-birth. When Lucie found out she was expecting again, at 17 weeks she started off her Bump to Babe cycle again, and brought baby George with her to Mummies and Buggies at 7 weeks old. Mummies and buggies is a good way to get back into exercise after baby has arrived and there’s no need to worry about a babysitter as they can come along! It really doesn’t matter if your baby cries or needs feeding half way through those lunges! Here’s Anna with baby Arian, pictured at 11 weeks. Anna wasn’t able to attend Bump to Babe during pregnancy, but found the flexibility of working out at home with her Pregnancy Fitness DVD: “Don’t let your BUMP get in the way” really enjoyable and beneficial. She enquired about Mummies and Buggies when her baby boy was 6 weeks old, and joined the classes when he was 8 weeks. 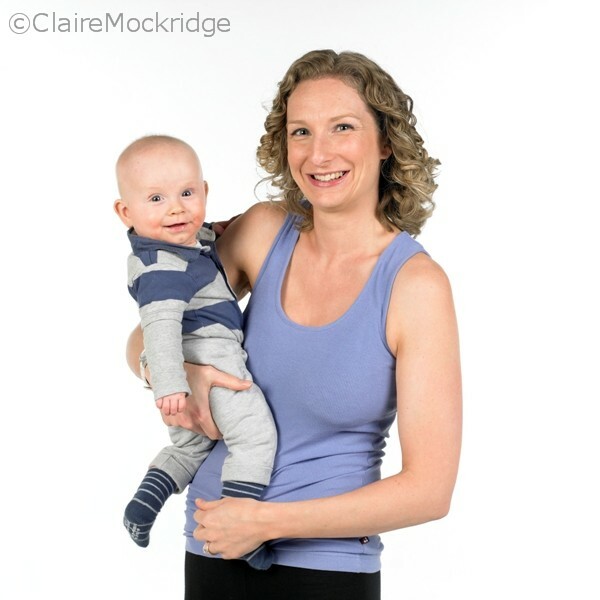 For new mums I would say, after giving birth I wanted to get back on track, but going back to the gym wasn’t an option for me, because you can’t take your babies with you, and also my husband couldn’t look after my baby all of the time. So when I found out about Mummies and Buggies it was a great surprise! And here’s Lucy with baby Austin at 29 weeks. He’s such a smiler, isn’t he?! Lucy enrolled on Bump to Babe Pregnancy Fitness classes from 32 weeks pregnant onwards, and thoroughly enjoyed every class she attended. After baby Austin was born, and she was back on her feet again, she soon booked on the Mummies and Buggies classes and came long with him for her first class, when he 12 weeks old. Mummies & Buggies is a great way to return to exercise after having a baby as you can choose the level of intensity. I wish I’d joined earlier!